The Chelsea School Committee announced this week the Superintendent Search Screening Committee (Screening Committee) has forwarded the names of three finalists for the Superintendent of Schools vacancy for consideration. After the application deadline of March 15, 2019, eighteen applications were forwarded to the Screening Committee and on March 25, after a thorough review of the written application materials, the Screening Committee met and engaged in an extended discussion of each candidate, ultimately reaching consensus to invite seven candidates in for an interview. All candidates accepted the invitation and were interviewed during the evenings of April 1, 2 and 3. The 13 members of the Screening Committee reached unanimous agreement and forwarded the following three educators for consideration as the next superintendent of the Chelsea Public Schools (in last name alphabetical order). Dr. Almi Abeyta is currently the Assistant Superintendent of Curriculum, Instruction and Assessment for the Somerville Public Schools. She was a kindergarten teacher in Albuquerque, New Mexico for seven years and was the Principal of the Donald McKay K-8 School in East Boston for four years prior to assuming a role as the Assistant Academic Superintendent for Middle and K-8 schools in the Boston Public Schools for two and a half years. Dr. Abeyta then served as the Deputy Superintendent for Teaching and Learning in the Santa Fe New Mexico Public Schools for five years and in July 2017 she began her role as the Assistant Superintendent of Schools in Somerville. Dr. Abeyta has a Bachelor of Arts, Communication, and Journalism from the University of New Mexico, two Master’s degrees from the Harvard Graduate School of Education (HGSE) in School Leadership and Education Policy and Management, and a Doctor of Education from HGSE in the Urban Superintendents Program. Ligia Noriega-Murphy is currently the Assistant Superintendent of Secondary Schools in the Boston Public Schools. Ms. Noriega-Murphy was a Spanish teacher for three years at the Donald McKay Middle School in Boston. She then was a founding faculty member and chair of the world languages department at the Boston Arts Academy for five years. In 2004 she became the Headmaster at Excel High School in South Boston and served in in that role for six years before becoming the Assistant Academic Superintendent for High Schools. In 2012 she was an Assistant Superintendent on Assignment as the Headmaster of The English High School in Boston, where she served for five years. Ms. Noriega-Murphy has a Bachelor of Arts in Art History from UMass Boston, a Master’s degree in Management from Cambridge College, and a Certificate of Graduate Study in Education Leadership from UMass Boston. Anthony Parker is currently the Principal at Weston High School, where he has served in that role for the past thirteen years. 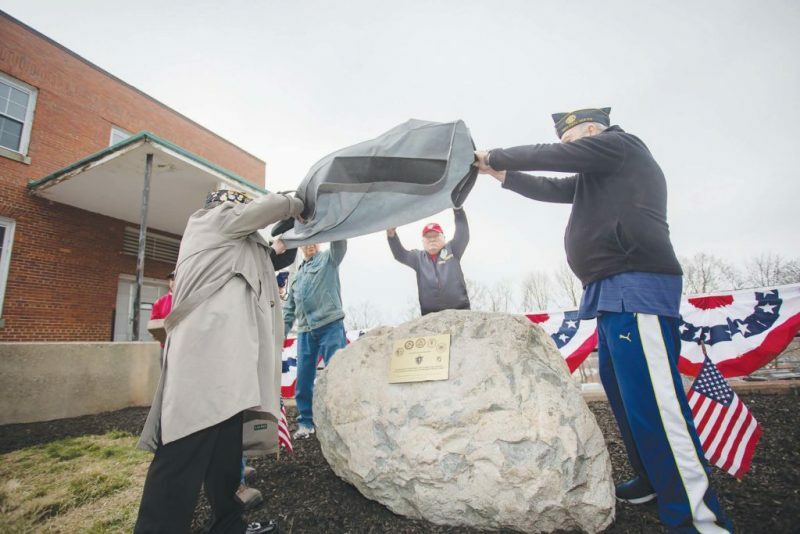 After several years as a journalist, Mr. Parker was a high school history teacher in the Newton Public Schools for 13 years (at Newton South and Newton North High Schools). From 2000-2006 he served as a Housemaster at Newton North High School, prior to his move to Weston. He also has been a Massachusetts Education Policy Fellow at the Rennie Center for Education Research and Policy in Boston. Mr. Parker has a Bachelor of Arts in Sociology-Anthropology from Earlham College, a Master’s degree in Teaching and Curriculum from the Harvard Graduate School of Education and has additional graduate studies at Boston College. The school community will have the opportunity to meet these finalists when they visit Chelsea during the week of April 29 and to attend the School Committee interviews with the finalists during the week of May 6. The schedule of these district visits and School Committee interviews will be communicated when it is finalized. The Chelsea School Committee said they would like to especially thank the members of the Screening Committee for their dedication and commitment to this search process. interview, debate, deliberate and decide on the finalists presented to the Chelsea School Committee. Each member played a key role in ensuring that all individual members were listened to and their perspective considered. Those members were Jeanette Velez, Priti Johari, Monica Lamboy, Peter Pappavaselio, Margo DiBiasio, Anibal Santiago, Lisa Lineweaver, Tom Ambrosino, Louise Campanella, Kathryn Anderson, Ilana Ascher, Angelica Bachour, and Marisol Santiago. The Screening Committee was assisted in this process by search consultants from the Edward J. Collins, Jr. Center for Public Management at UMass Boston. The Chelsea City Council and School Committee held a joint meeting on Tuesday night, April 9, to get a quick step forward on filling two vacancies on the School Committee. Members Present included City Councilors Roy Avellaneda, Damali Vidot, Bob Bishop, Luis Tejada, Enio Lopez, Judith Garcia, and Yamir Rodriguez. School Committee members present were Frank DePatto, Rosemarie Carlisle, Jeannette Velez, Rich Maronski, Lucia Henriquez, Ana Hernandez, Kelly Garcia, and Yessenia Alfaro. Due to the recent resignations of School Committee Chairman Richard Maronski and Vice Chairman Julio Hernandez, the Chelsea City Council and Chelsea School Committee are looking to fill their seats. “This is a job that should be taken seriously and hopefully we get someone that’s responsible and will show up,” said Maronski. Any residents of District 3 or District 5 that are interested in serving the remaining unexpired terms through December 2019, are asked to submit their resumes and letters of interest to City Council and Chelsea School Committee at: LKoco@Chelseama.gov or mail to City Council at 500 Broadway, Chelsea, MA 02150. Candidates must be registered voters in their respective districts and must be able to pass a CORI. The Chelsea City Council and School Committee will be accepting resumes until Friday April 26, and will conduct interviews on Monday April 29. Anyone that lives in either District 3 or District 5 is encouraged to apply. If you aren’t sure of your district, please visit HYPERLINK “http://chelseama.gov” t “_blank” chelseama.gov under the City Clerk’s department for a map or call the City Clerks office at (617) 466-4050. The City could soon be running its own Water and Sewer Department as part of the Department of Public Works. Currently, Chelsea outsources those water, sewer, and drainage services to R.H. White Construction Company as part of a 10-year contract set to expire on July 21, 2022. City Manager Thomas Ambrosino is asking the City Council to consider an early termination of that contract, allowing the City to get a jump on establishing its own Water and Sewer Division under the DPW. While there will be initial start-up costs and ongoing personnel costs, Ambrosino said Chelsea will ultimately save about $350,000 per year. Ambrosino is requesting the City pay an early termination fee for the contract with R.H. White in order to get the City Water and Sewer division operable by July of 2020. The upfront costs of the water and sewer transition prior to July of 2020 include the purchase of new vehicles and equipment and the hiring of seven employees to make sure the department is prepared to take full control of the water and sewer system on the date. The total additional Fiscal Year 2020 costs are just over $1.5 million, according to the City Manager. Ambrosino recommended that all the one-time costs be paid for through the retained earnings in the City’s Water and Sewer Enterprise System, the equivalent of free cash in the general government budget. •In other business at Monday night’s City Council meeting, Ambrosino asked the Council to consider a plan for municipal electric aggregation. “Because municipal electric aggregation has the potential of providing more stable and lower prices and utilizing more renewable energy sources, over 140 municipalities in Massachusetts have taken advantage of this program,” Ambrosino said. •The City Manager also told the council that the City will seek competitive bids for Chelsea towing work beginning in Fiscal Year 2020, which begins on July 1. Councilor Luis Tejada joined the National Association of Latino Elected and Appointed Officials (NALEO) Educational Fund and 50 community college trustees, municipal level officials, and state legislators from throughout the country for the NALEO National Policy Institute on Workforce Development in Los Angeles from March 29-30, 2019. The convening provided Luis Tejada and Latino policymakers from across the nation with the opportunity to deepen their knowledge around current workforce issues and discuss various approaches to strengthen their jurisdictions’ workforce development. Over two-days, Luis Tejada addressed ways to strengthen innovative and successful workforce development policies and best practices that drive economic success in the labor market for their constituents, communities, and regions. • Industry Sector Strategies: Healthcare, Advanced Manufacturing and Service. 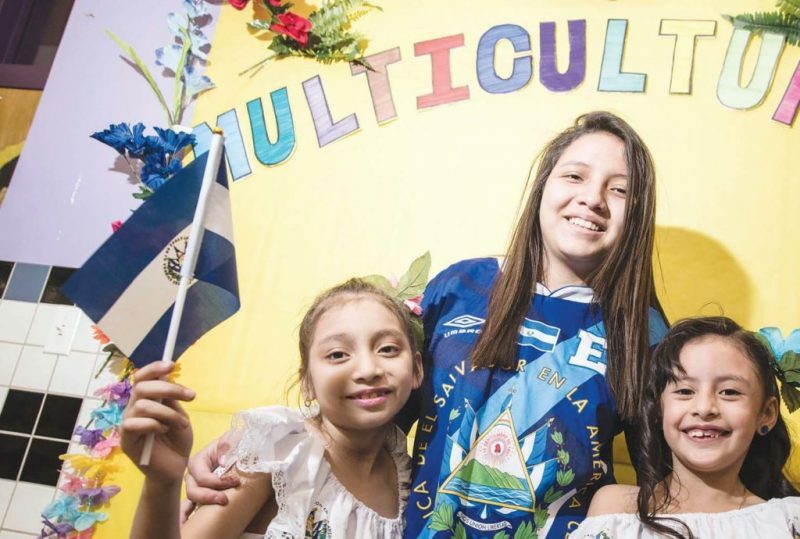 Several local restaurants and the City’s Chelsea Prospers program is stepping up to celebrate all things about the pupusa this Sunday, April 7, at Emiliana Fiesta as part of the first annual Pupusa Fiesta. As a precursor to the coming Night Market events, and a nod to the City’s Latino and Central American heritage, the City and local business owners have combined efforts to put on a free festival to highlight the stuffed corn tortilla delicacy – as well as all the trimmings that go with it. Downtown Coordinator Mimi Graney said that five businesses have signed up to participate in the free event, where they will have pupusa samples, forchata drinks, pupusa-making demos, curtido and mariachi music. “It’s kind of flexing our muscles to see how well we get people together and I also wanted to have a celebration of a particular food that we have in Chelsea,” said Graney. Julio Flores of El Santaneco Restaurant said they are very excited to participate and feel it is very important that a dish like the pupusa is being highlighted. A pupusa is a thick corn tortilla stuffed with cheese and beans – sometimes meats as well. Curtido is a common side dish with the pupusa and it is a vinegar-based slaw made of cabbage and carrots – and a touch of spiciness. He also said it gives homage to the culture in Chelsea, but a culture that is changing. The Pupusa Fiesta will take place on Sunday, April 7, from 2-5 p.m. at Emiliana Fiesta, 35 Fourth St. It is a free event.